Get ready to celebrate the Astros World Series title for years to come. 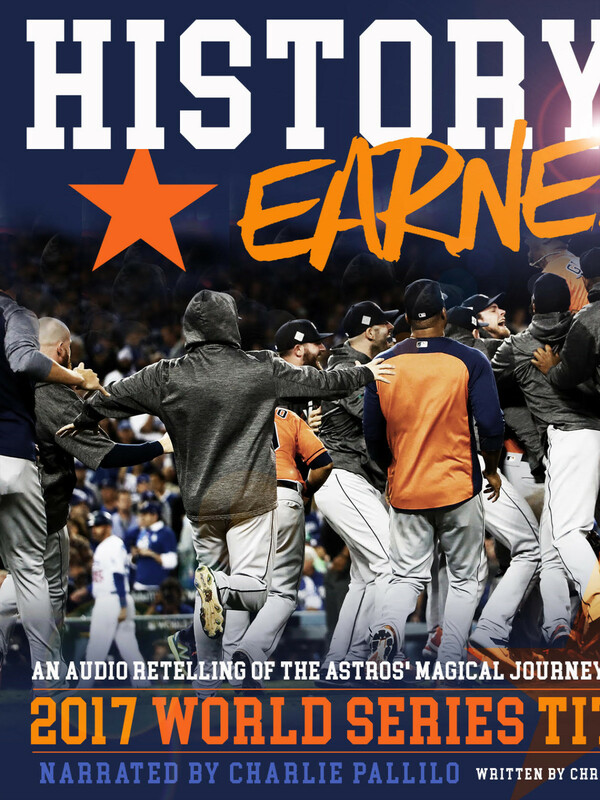 Gow Media has released its commemorative audio book, History Earned: An audio retelling of the Astros magical journey to the 2017 World Series title. The audio book is affordably priced at just $13.99, with one dollar of every sale through the end of the year going to Hurricane Harvey relief. The book can be downloaded instantly to any laptop or smart device, and you can relive the most memorable moments from the playoff run whenever you want. The book is narrated by longtime Houston radio legend Charlie Pallilo, who has covered the Astros for decades and has a unique insight into the team. It was written by Chris Campise, who provided coverage for SportsMap during the playoff and World Series run. Pallilo’s stylish voice takes you through all the biggest moments, including audio of the actual game calls. Prepare to have goosebumps and memories that will fly out of the speakers. History Earned can be downloaded in its entirety here. Listen to the first chapter for free below.